Apothekari Shade SPF 30 is available now! 53 g/1.89 fl. oz Apothekari Shade SPF 30 is available now! 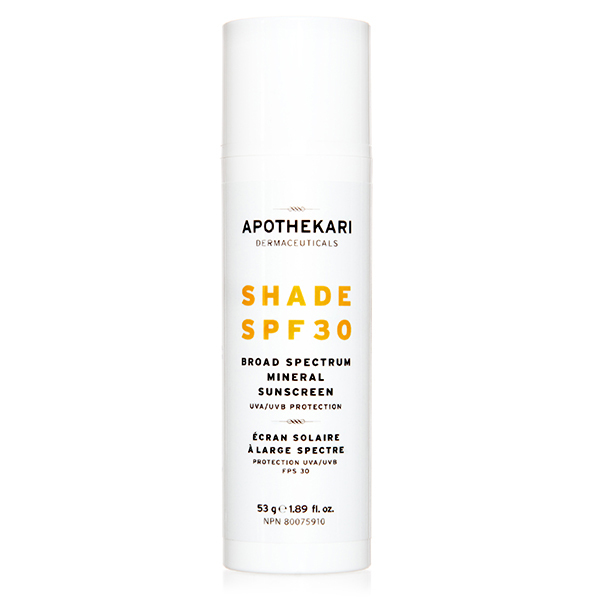 New Apothekari Shade SPF 30 is an all natural sunscreen formulated with 13.5% zinc oxide (ZinClear) to deliver broad spectrum UVA/UVB protection against sun exposure. 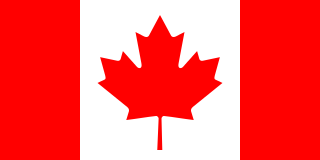 Health Canada approved, it is suitable for all skin types and it also offers healing, soothing and calming properties. Red algae extract (a UV absorbing substance) and ergothioneine (a natural antioxidant and amino acid, which prevents UV damage) offer additional UV protection and help support against free radical damage. Shade SPF 30 is non-whitening, designed for all skin types and is gluten free. 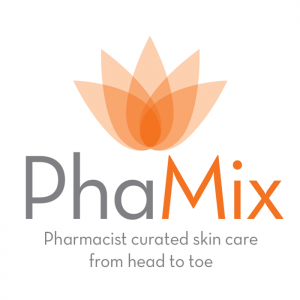 It is an absolute must-have for anyone concerned about the health of their skin. 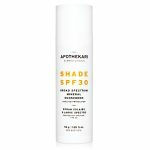 In addition to protection against UVA and UVB rays, Apothekari Shade SPF 30 was formulated to provide extra protection against free-radical damage generated by UV exposure. Red algae and ergothioneine are special free-radical scavengers that support the Mitochondria DNA from the endogenous issues of stress and other health challenges. Directions: Apply to clean skin 15 minutes before sun exposure. For daily use, allow the product to absorb completely before applying make-up. Product should be “patted” on, not rubbed in. Not water resistant – use a water resistant sunscreen if sweating or swimming. Reapply frequently. For the ultimate in skin protection, apply Shade SPF 30 in conjunction with our Apothekari Bespoke Vitamin C Serum for unparalleled UVA/UVB and free radical protection. Caution: For external use only. Do not use on damaged or broken skin. Keep out of reach of children. If swallowed, get medical help or contact a Poison Control Center right away. When using this product keep out of eyes. Rinse with water to remove. Stop use and ask a doctor if rash, irritation develops and lasts. This product has not gone through an Eye Irritation Test and therefore should not be used around the eye area.